These are great fun for children to make and play with. 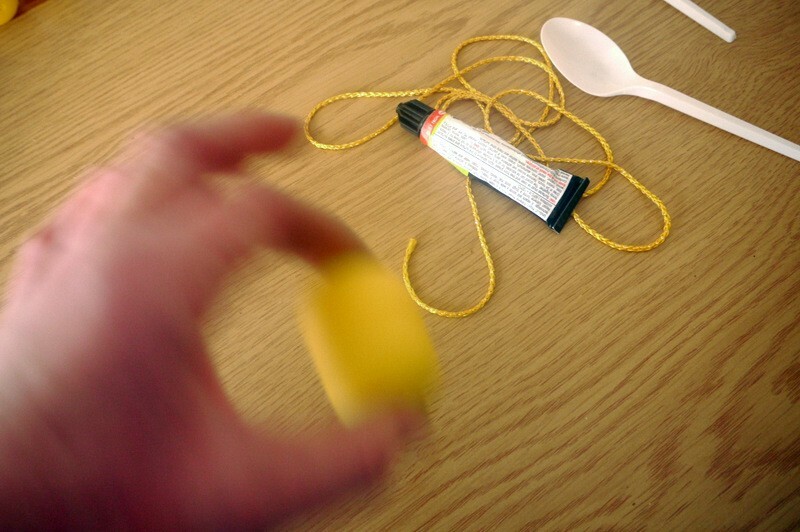 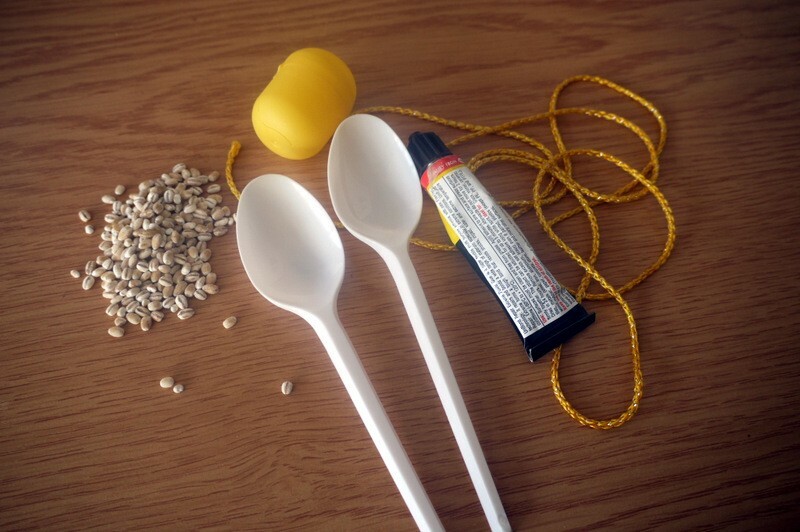 Younger children can wrap the maracas in pretty tape instead of using the strong glue. Use the plastic eggs with a lid that little toys often come packed in. 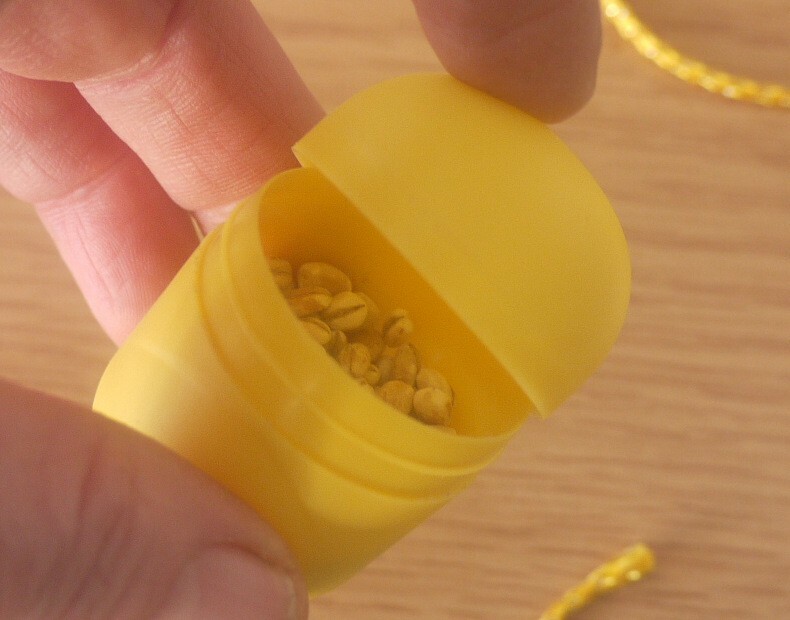 Mine is from the centre of a chocolate egg. Half fill an egg with pearl barley and replace the lid. 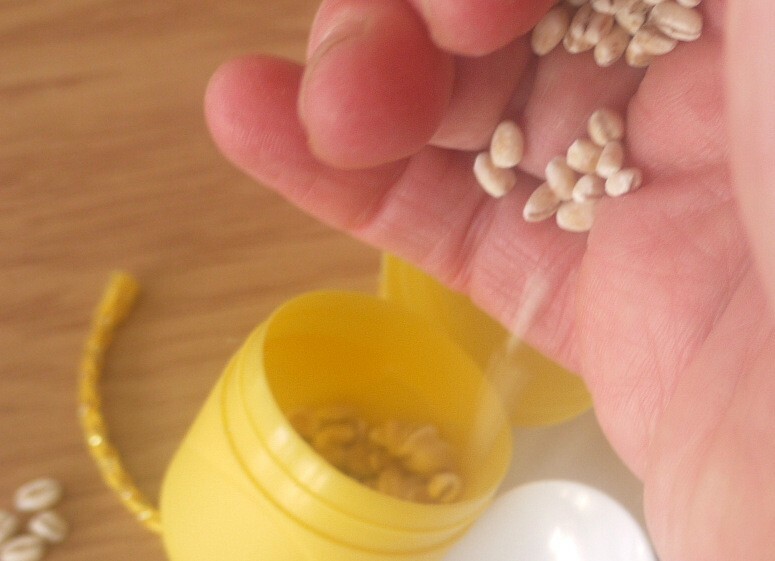 Give it a bit of a shake to see if it sounds OK. You may have to remove or add pearl barley to get the best sound. 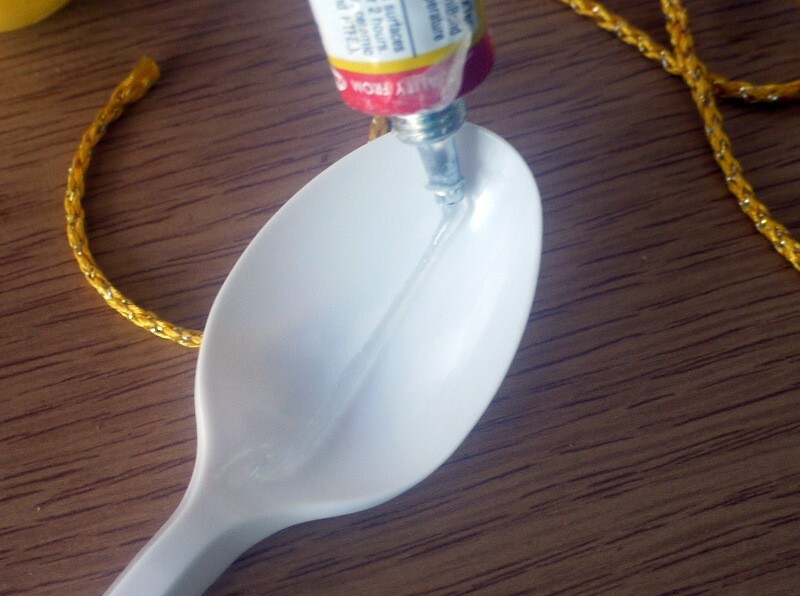 Add a string of glue to the insides of 2 of the spoons. 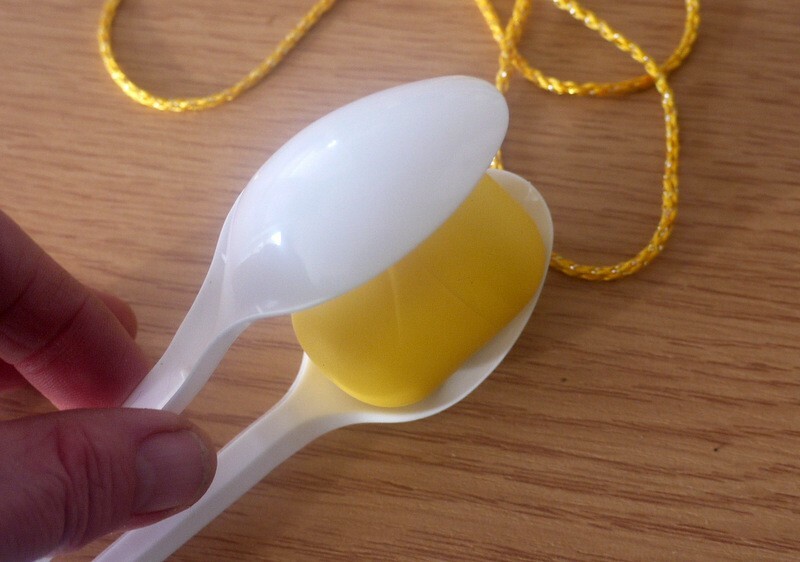 Sandwich the egg between the spoons. Tie the ribbon or cord around the spoon handles. 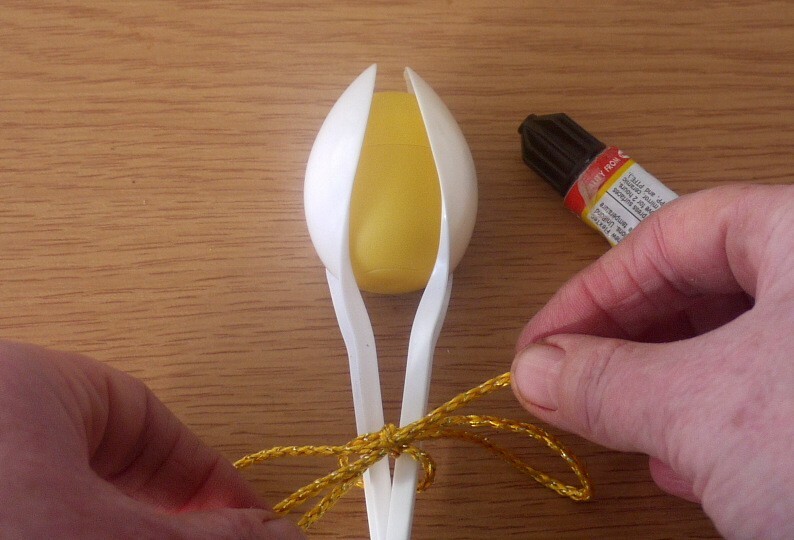 A little dot of glue will hold the tips of the spoon handles together. 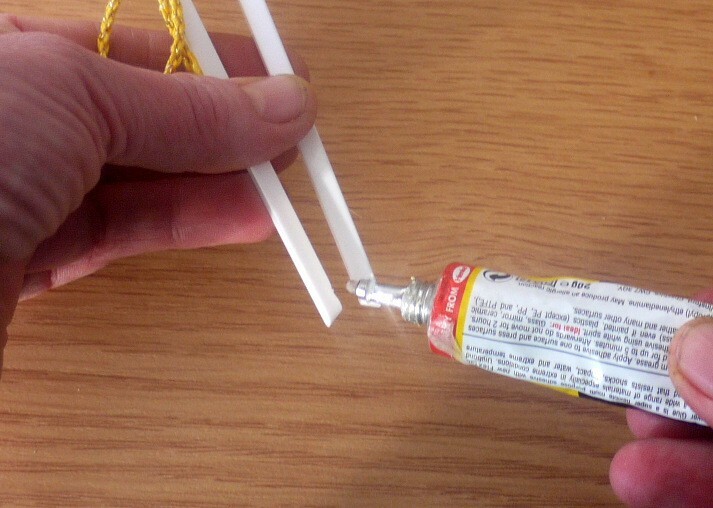 Make another the same way and leave to dry thoroughly before using them. 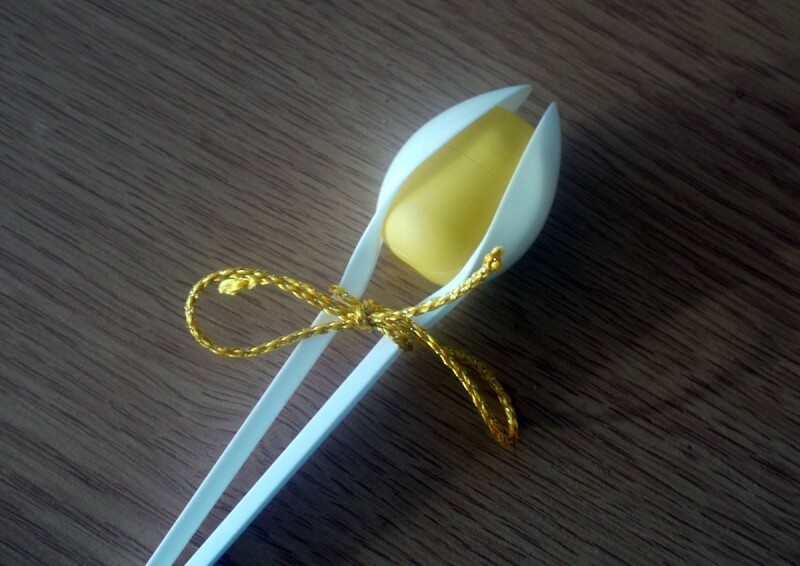 If you want to use them immediately, use decorative tape to hold the spoons in place.